The granddaddy of loans! A mortgage is a loan which is secured by a specific piece of real estate (your house), that you're obliged to pay back in a pre-determined set of payments. A mortgage allows you to buy an expensive piece of real estate without paying the entire amount up front. For most of us it's the largest amount of money you will borrow in your life, with the largest recurring payments, so it requires the proper amount of understanding and research. Not to get too scary, but getting a mortgage you can't afford, or that has the wrong terms for you, can result in the bank foreclosing on you. That being said, over 60% of Americans own their own homes. Done right, it's a great financial instrument that can allow you to live the American dream of home ownership. Affordability. The number one rule of getting a mortgage is to get one you can afford. You'll probably be surprised when you start shopping for a mortgage at how much banks are willing to lend you. Just because the bank is willing to lend you 8 times your annual salary doesn't make it a good idea. The general rule of thumb is to not borrow more than 2 or 2.5 times your gross annual salary. Get your financial house in order before you apply. There's nothing worse than finding the house of your dreams, then the bank finding out about your massive credit card debt, or other unpaid bills. Chances are you won't be approved or the terms will be terrible. You can shop for a mortgage on your own, or you can use a mortgage broker to help navigate the waters. They are trained professionals who understand the game and can get you the best-priced and best-structured mortgage. 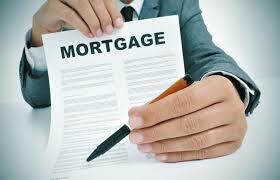 There is no cost to you to use a mortgage brokers services. Their compensation comes from the lender. Fixed rate vs variable rate mortgages. As the name implies, a fixed rate mortgage is a home loan that that stays the same throughout the life of the loan. The main advantage of a fixed rate is predictability even if the rates go up. A variable rate mortgage has payments that fluctuate based on rates. You often will get a lower rate by going the variable route, but you need to be prepared for an increase in your payments if rates go up. Deciding which type of mortgage to use is a complex decision and should be researched and discussed with your broker if you chose to use one. I recommend it. Costs. The cost of your payments and the overall mortgage is made up of the down payment you make, the principal, the interest and the closing costs. The down payment is a percentage of the overall amount you are borrowing that you are expected to pay at the time of the purchase. You can expect to pay anywhere from 5 to 25%. Keep in mind that the more you are able to put down, the less you have to borrow and the less you will pay in the long run. The principal amount is how much money you borrowed, while the interest amount is whatever rate you agreed to pay as it relates to the principal. Finally, closing costs are the administrative and legal costs of the transaction. You can expect to pay anywhere from 2 to 5% of the purchase price. Play around with the Reluctant Credit Guy calculator below to figure out what you can afford or what your payments would be. You can find current US mortgage rates here.